Myer is resurrecting its ‘My Store’ campaign once again in an attempt to turn around its fortunes. The new follows the beleaguered retailer's near $500 million loss in the year to June 2018, leading to the plan to stop discounting by getting rid of clearance floors by mid-2019, reduce floor space, and focus on exclusive brands. Myer’s sales in the financial year were down 3.2 per cent to $3.1 billion, leading to a loss of $486 million compared to the previous financial year. It also follows the removal of 30 positions from its executive and senior management team following a review of the support office, including executive GM of marketing and customer, Louise Pearson. 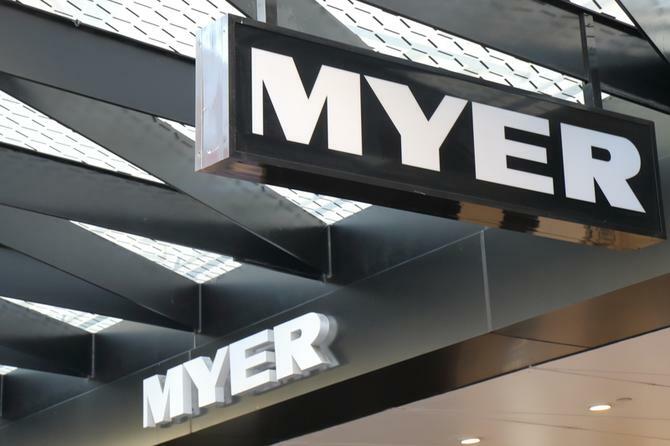 The cuts came less than six months after the group lost its CEO, Richard Umbers, and its chairman, Garry Hounsell, took up the reins, announcing his intention to shake-up the ranks in order to lift Myer’s game. In June, the group appointed a new leadership team including former House of Fraser turnaround chief, John King, as its CEO and managing director. King today announced that Myer’s ‘My Store’ campaign is back, with advertisements airing on commercial television immediately. The new campaign aims to acknowledge Myer’s strong history and the special place it holds in the Australian community, but it also looks to the future with a contemporary look and feel, to show how Myer is evolving and improving its product offering, online store and in-store experiences and service. “Myer is Australia’s department store. We have been there for generations of Australians, for their everyday life, but also for their most memorable and special occasions, whether that be: ‘My Birthday’, ‘My Christmas’, ‘My Father’s or Mother’s Day’ or ‘My Wedding’,” King said.